Ah! If only we here in Australia had the benefit of the members of the United Nations (U.N.) committee who have just given the Vatican officials such a grilling over that “state’s” failures under it obligations under the International Rights of the Child convention. These few committee members were referred to as members of an “obscure” committee of the U.N., yet they have put the world spotlight on the Vatican’s duplicity in handling its abusive priests. None of them had the grandiose title of something like “Royal Commissioner”. They were not in awe of the Vatican officials, like the Vatican’s “ambassador” to the U.N. Their questions were spot on, to the point and consistent. Here in Australia we have had a royal commission running for over a year and it has only spent a few days on the Catholic Church. Even with this, it has only investigated the small matter of how victim complaints were dealt with. It did not call up (as it has the power to do), the head of the church in Australia, Cardinal George Pell, to explain himself. The U.N. committee was composed of “young Turks” who still had a bit of fire in their blood. Here, we have a chief commissioner who is old, establishment and should have retired to one of his vineyards by now. The worst thing is that he has no experience of Australia’s obligations to the U.N. under the treaty on the Rights of the Child, or any other treaty for that matter. None of the other five commissioners, with the exception of Andrew Murray, have any experience here also. Murray was in the Parliament when Australia ratified the treaty so presumably he, at least, does know what it entails. Indeed, if it comes down to real pressure, Australia could cease diplomatic relations with the Vatican “State” until if provides the required files pertaining to the Australian enquiry. At the very least, the government could call in the Vatican’s “ambassador” for a please explain. If it had any guts at all, the royal commission would request that this “ambassador” front the enquiry. But, of course, it won’t. One news outlet referred to the U.N. committee hearing as: “It resembled a courtroom cross-examination, except no question was off-limits, dodging the answer wasn’t an option.” Again, Ah!, if only that were the case at the royal commission. 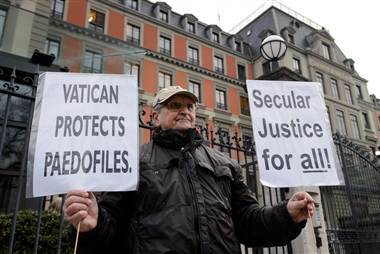 Victims groups called the defense hollow, given how Vatican officials instructed bishops for decades to not turn abusive priests in to police, but to keep the cases in-house and confidential. “When they say that these crimes should be prosecuted by states, it seems so disingenuous because we know that the church officials at the state level obstruct those efforts to bring justice,” said Barbara Blaine, president of the main U.S. victims group, SNAP. With regards to the Salvation Army, which is the basis of the next hearings of the Australian royal commission into institutional response to child sexual abuses, the barriers presented by the world-wide Catholic Church are just not there. The Salvation Army here has “lost” almost every file, including those of the child migrants (see previous postings) to Australian Children’s Homes from Ireland, the U.K. and Malta. The commission should petition the Salvation Army international headquarters to provide any files they may hold. Of course, it could also summon the world “general” of the Salvation Army, but it won’t. It could recommend that the Salvation Army, and indeed the Catholic Church, be forced to leave the country if they continue to obstruct Australia’s obligations under the U.N. Treaty on the Rights of the Child, but it won’t. It could recommend that the government with-hold taxpayer funding, but it won’t. Previous postings have shown that there is a “paedotourism” industry to third-world “orphanages”, and many groups are working to do something real about this problem. Australia is a large source of such tourists, so the royal commission has some moral obligation to investigate this aspect of child abuse, but it won’t. 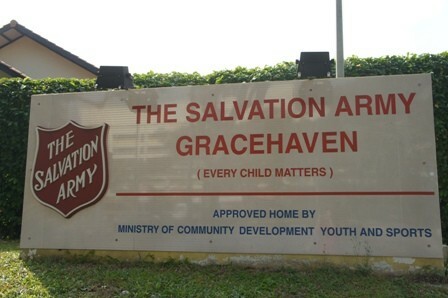 Abuses at Salvation Army Children’s Homes in the English-speaking countries of Ireland, U.K., U.S., Canada and New Zealand have been documented. The organisation no longer runs such Homes in these countries. In Mexico, for example, a Home is funded by having the children perform dances for tourists. Others accept volunteers without adequate checks on them. 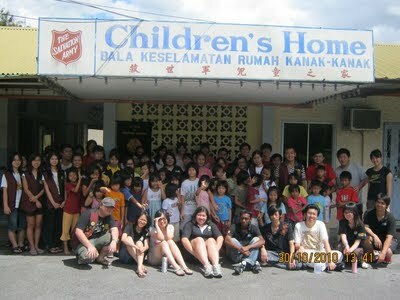 They allow foreigners to take the children on outings for the week-end and school holidays. 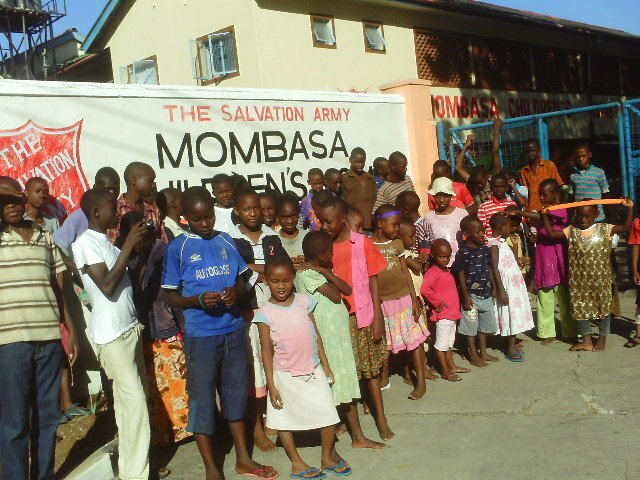 It has taken nearly a half century for the abuses by the Salvation Army to reach the public consciousness in the English-speaking countries. Will abuses in these other countries also take another half century to become apparent? Forcing the Salvation Army to open its international file would have the added advantage of revealing any abuses currently occurring in the non-English speaking world, comprising about 100 countries, in which it now operates. The royal commission, headed by a State appeals court judge, will not do any of these things, either because of lack of will or because of a lack of understanding of federal matters, in particular our treaty obligations and powers. At least the writing is on the wall for the Catholic Church, and its safe haven – the Vatican State, after the attack by the “obscure” U.N. committee. Perhaps, some brave country will recall its ambassador to the “Holy See” until they do the right thing by victims. There is hope, there, yet. 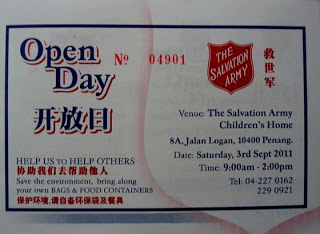 One would hope for the same hope with regards to the Salvation Army, but not just yet. 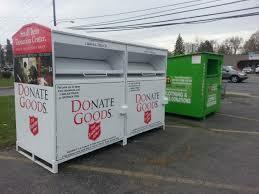 Image: The Salvation Army in Australia has had to remove all 100 of its collection bins because people have been “contaminating” them with things like rotten eggs, old fish and even a used toilet bowl. This entry was posted in Uncategorized and tagged Alkira, Andrew Murray, Arco Verdi Integration Centre, Barbara Blaine, Batticaloa Children's Home, Bethany Children's Home, Bonilla Centre, Cancun Quintana Roo, Cardinal George Pell, Cardinal Mahoney, Catherine Booth Preschool, Catholic Church, Children's Home in Myanmar, Dhaka School for the Hearing Impaired, El Redil, Ethembeni Children’s Home, Firlands Children’s Home, Gracehaven Singapore, Hanbury Children's Home, Home of Grace Hostel for Girls, Home of Joy, Indooroopilly Boys’ Home, International Rights of the Child convention, Isiolo Olympic Prep and Inclusive School, Itagui Project, Jessore School for the Hearing Impaired, Joseph Baynes Children’s Home, Joyland Girls' Home, Joyland Special Secondary School, Joyville Children's Home Philippines, Kibos School for the Visually Impaired, Kuching Children's Home, Kwetu Mbagala Girls' Home, Lewin Blazevich, Lewis Blayse, Medan Girls' Home, Mombasa Salvation Army Children’s Home, paedotourism, Penang Children's Home, Peter McClellan, Primero de Mayo, Rajagiriya Boys' Home, Rayito de Luz Centre, Royal Commission into Institutional Responses to Child Sexual Abuse, Sagrada Familia, Sallies, Sally-Anns, Salvation Army, Salvation Army Australia, Salvos, Seoul Salvation Army Boys’ Home, Seoul Salvation Army Girls’ Home, Sheikhupura Girls' Boarding Hostel, Shukrani International College, SNAP, South Africa, Stuartpuram Hostels, Suzano Daycare Centre, Tacna Centre, Taegu Salvation Army Girls’ Home, Taejon Salvation Army Boys’ Home, Thika School for the Visually Impaired, Tompaso Boys' Home, Tororo Children's Home, treaty on the Rights of the Child, Tres Brazos, Tuition Programmes, Vatican, Vatican State, Vilanculous Creche, Windsor Lodge Childrens Home. Bookmark the permalink.